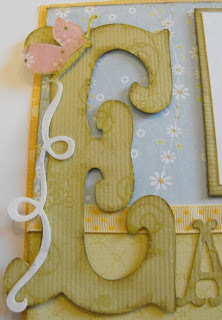 I had this patterned paper from Wild Asparagus that I love and wanted to use for a card, so this is what I came up with. 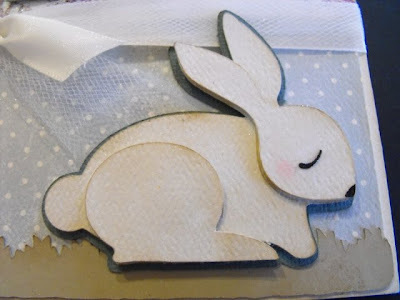 The bunny is from the Winter Woodland cartridge (p. 58) cut at 2 1/2 inches with the shadow and layers. 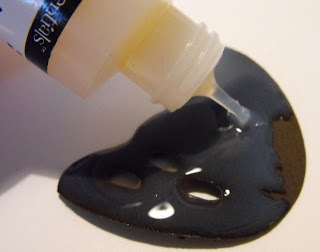 I inked the edges of everything with Ranger Antique Linen ink. I chalked the bunny's little cheek with pink chalk and a q-tip. 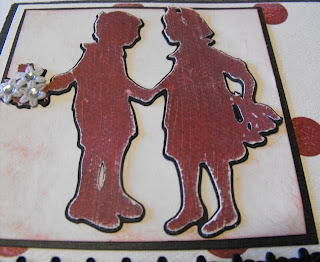 Hint: Rub most of the chalk off on a scratch piece of paper so the cheek will be very subtle. I also raised every layer of the bunny with pop dots. 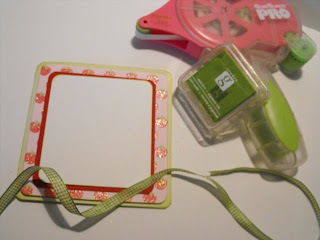 The stamp is from a Fiskars set and the grass is from the Paper Doll Dressups cartridge. I tied ribbon and tulle together to make the bow. 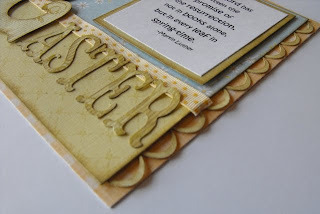 To finish everything off and make it shiny, I sprayed glimmer mist over the entire card. 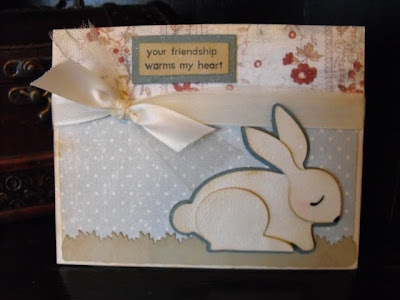 I had lots of scraps leftover from a mini album I am making (will post pics soon) so I decided to make a card with the leftovers. 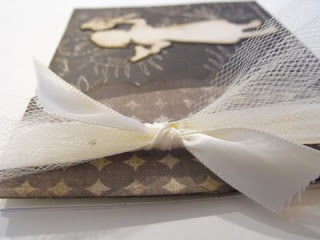 I tied the edge with ribbon and tulle. 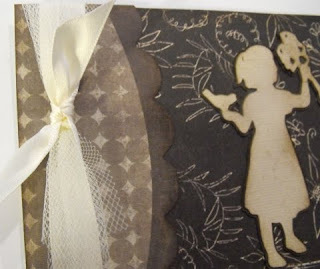 The little girl is cut from A Child's Year cartridge (p. 60) at 3 1/2" with the shadow cut too. This was a super fast card to make! 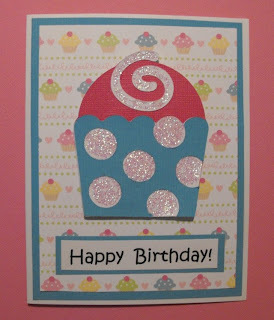 The cupcake is from the sweet treats cartridge cut at 3 1/2" and then I used stickles to highlight the polka dots and the swirl at the top. Have a question or just want to say "hi"? Just leave a comment on this post! 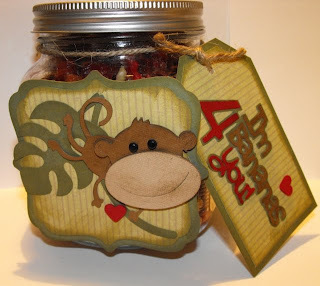 I bought this jar at walmart and filled it with nuts and dried fruit. 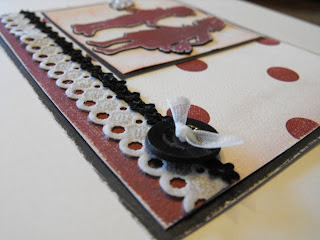 (Yum) I used Gypsy wanderings for the background mat (cut at 4"). The other cuts are all from the sweethearts cartridge. 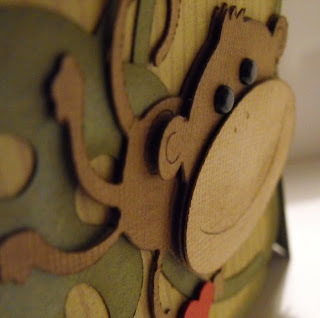 I cut the Monkey at 3" and the 'bananas 4 you' at 2"
Cut the card base (Page 50) at 4". 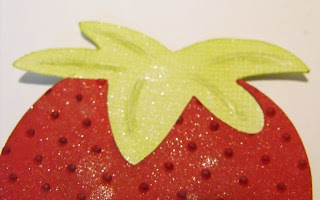 This is just a plain card, but fit the strawberry exactly. 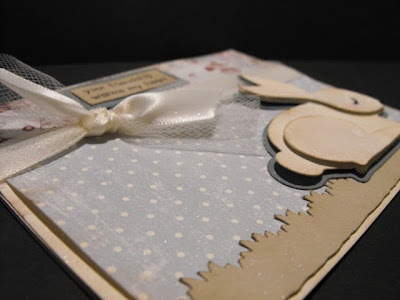 The patterned cardstock is from DCWV. 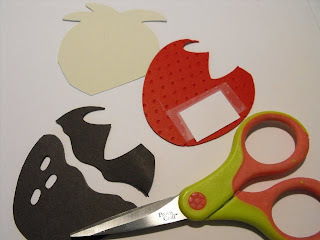 Cut all other layers with your paper trimmer. 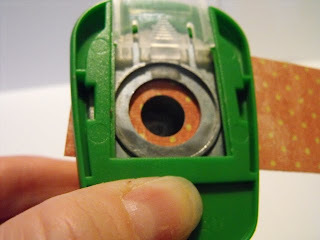 Round the corners with a corner rounder punch. 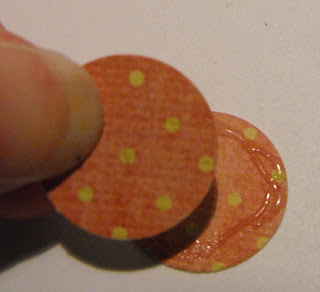 Cut the Strawberry top (Page 34: shift/layer) at 2 1/2" Real Dial size. 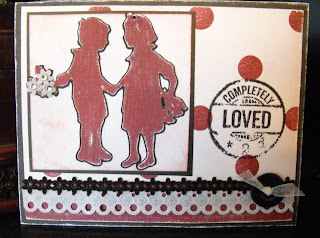 Emboss with your swiss dots cuttlebug folder and ink lightly with black ink. Cut another strawberry top from dark brown. 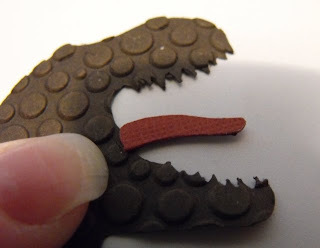 (same size) Trim as shown in picture below. For the strawberry leafs, cut from green (p. 34 layer) at 5" Real Dial size. Then trim off excess. (You don't need the icecream part). 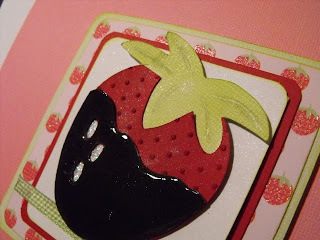 Tape a white piece of paper on the back of the strawberry as shown. 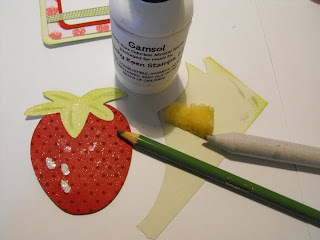 Draw lines on the leafy part with a colored pencil (I used Crayola) and then use gamsol on a small sponge and a blender stick to blend the colored pencil a bit. 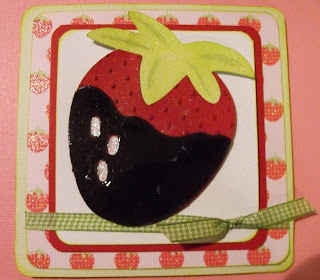 Assemble strawberry and spray with glimmer mist. 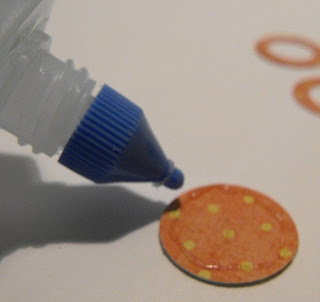 Use glitter glue on the white dots. 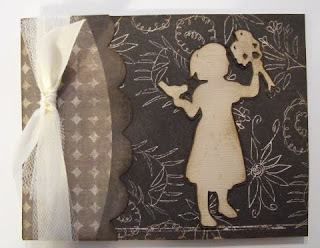 cover brown cardstock with dimensional glaze and let dry (a long time!) When it is all dry, adhere to top of strawberry. Looks yummy! For this card I used the Storybook cartridge. 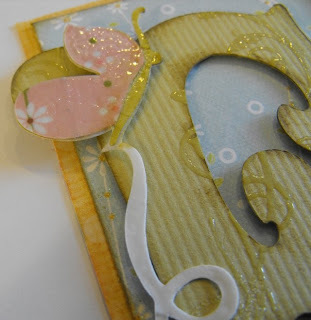 I stamped on the "E" with versamark watermark ink and them embossed with clear embossing powder. Woo Hoo!! 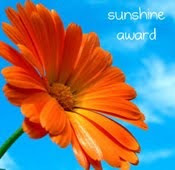 I was nominated by Lori Apgar for this Sunshine Blog Award! Thanks Lori! 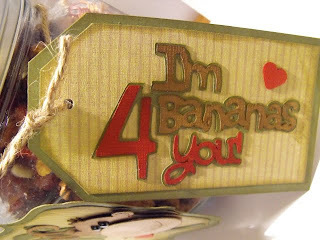 Your sweet! 1. You must pass this award on to six (6) other bloggers/followers. 2. Link your nominees within your post. 3. Let your blogger/followers know you are passing this award on to them by leaving them a comment on their blog. 4. Add a link to the blog of the person from whom you received this award (that would be me). 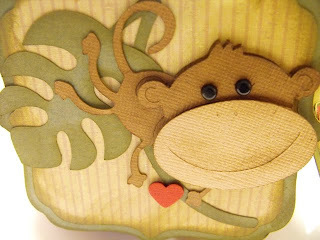 I enjoy sharing my passion for Paper crafting and appreciate all of your kind comments! 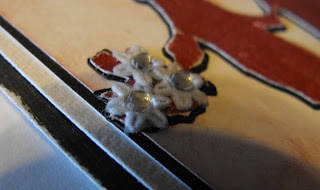 The flowers are just pieces of the felt lace that I cut off with some rhinestones in the center. 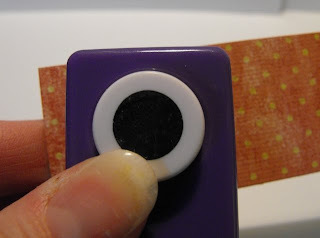 These buttons are actually made out of paper! 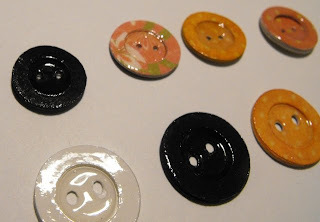 Making your own buttons makes it easy to match your project. 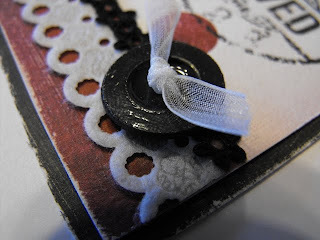 Some of the 'buttons' are made out of patterned paper. 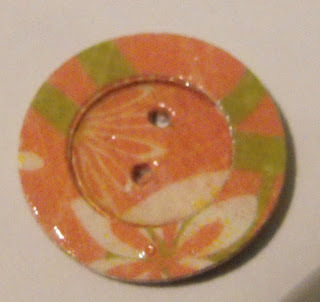 I used my gypsy to cut the large buttons and punches to cut the smaller buttons. 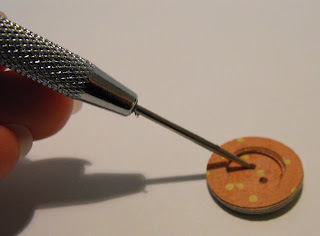 If you use circle punches, you will need two sizes. Punch the smaller circle first. 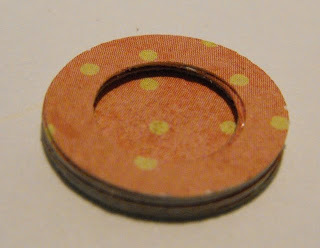 Turn your larger punch upside down so you can see to center it around the smaller circle you already punched out. 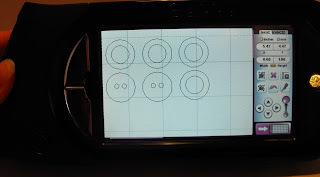 Step 1: Glue the 2 solid circles together. 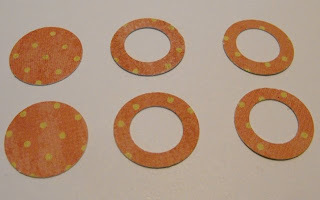 Step 2: Glue all of the rings on top. 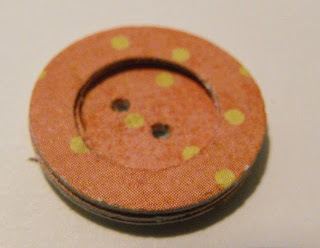 It's starting to look like a button! 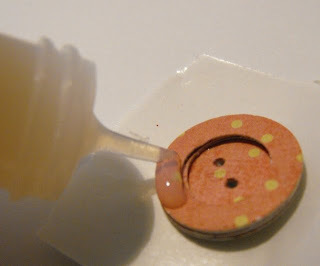 Step 4: Cover with dimensional glaze. 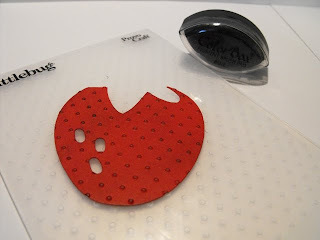 Hint: Use the paper piercer to poke through the holes again when it is dried. It is easier to do this when it feels dry, hasn't cured all of the way. 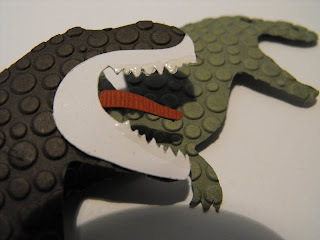 I thought it would be fun if the teeth looked glossy and dimensional, so I used the glossy accents on this. I only put a thin layer on. 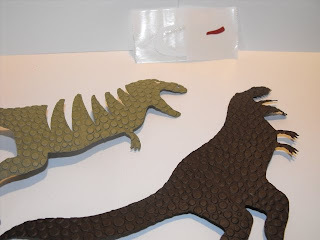 Here are the finished teeth and the tongue, ready to layer on the dinosaur base. 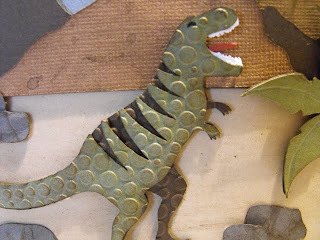 When you 'gloss' your dinosaur teeth, you might want to go a little higher on the top than I did. 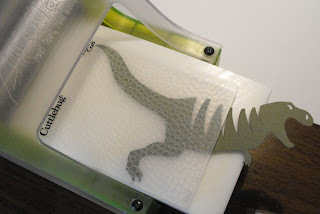 The dinosaur was to big to fit in the cuttlebug folder all at once, so I sent it through twice. Don't worry if it doesn't line up exactly, it will still look good. You may want to experiement! 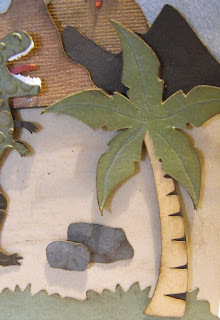 I ran the green top layer and the bottom brown layer through the cuttlebug folder. Now we are ready to put it all together! 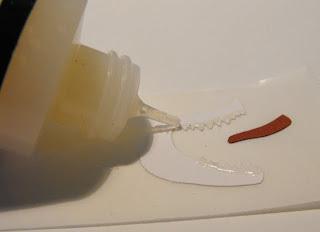 Step 1: Glue the tongue onto the base of the dinosaur. 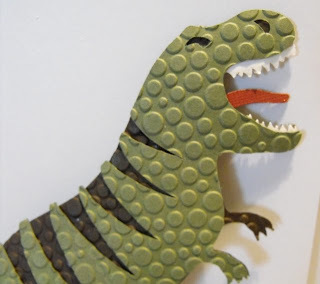 Glue the teeth onto the base of the dinosaur. 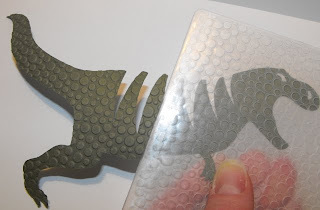 Step 3: Glue the green top onto the base. 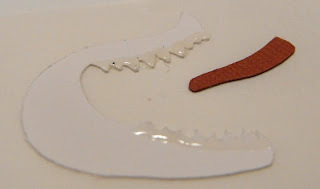 This sandwiches the teeth and tongue between the two larger diecuts. 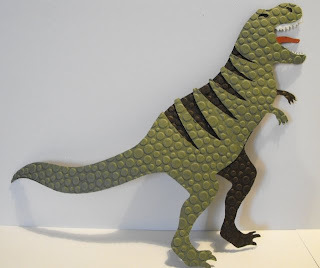 The T-Rex looks even better inked! 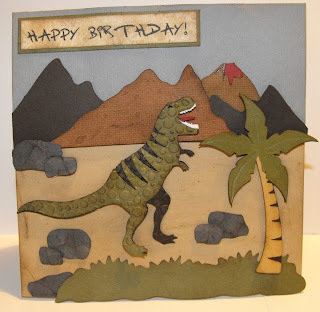 See a sample on the dinosaur Happy Birthday card. 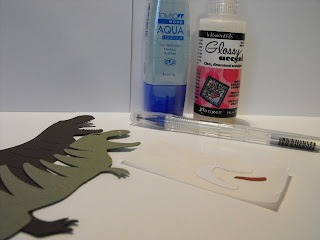 Keep your glossy accents from getting clogged! Whenever I think of you . . .